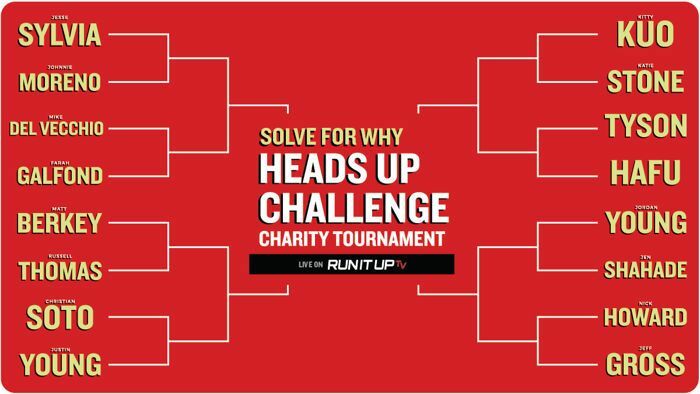 Matt Berkey’s Solve For Why Poker Academy is hosting its second annual Heads Up Charity Shootout live on Twitch March 12-14, with none other than Jason Somerville serving as co-host and commentator on his channel runitup.tv. The event will benefit Raising for Effective Giving (REG) Charity. In its first iteration last year, Berkey won the event that his poker coaching site put on. When Berkey reached out to Somerville about getting involved this year, Somerville thought it seemed like a cool fit and was happy to get on board. The cast of characters is an eclectic mix of top pros and entertaining personalities, fit for the diverse Twitch audience. Participating are Jesse Sylvia, Johnnie Moreno, Mike Del Vecchio, Farah Galfond, Matt Berkey, Russell Thomas, Christian Soto, Justin Young, Kitty Kuo, Katie Stone, Tyson Apostle, Rumay "Hafu" Wang, Jordan Young, Jen Shahade, Nick Howard, and Jeff Gross. “We have a great group. Everyone is very friendly, and we have five ladies, which is pretty cool for a heads-up format - and they're all great players,” Somerville said. Hearthstone Arena streamer Hafu, who won the Twitch Poker charity invitational event back in November, is one of the few non-poker pros in the lineup, but Somerville isn't counting her out. Proceeds for REG charity will come from the $500 contributions from each player, plus the donations that Twitch viewers send in. Much in tune with the Twitch community, Somerville predicts they will raise $10,000 easily, but he, of course, hopes for more. 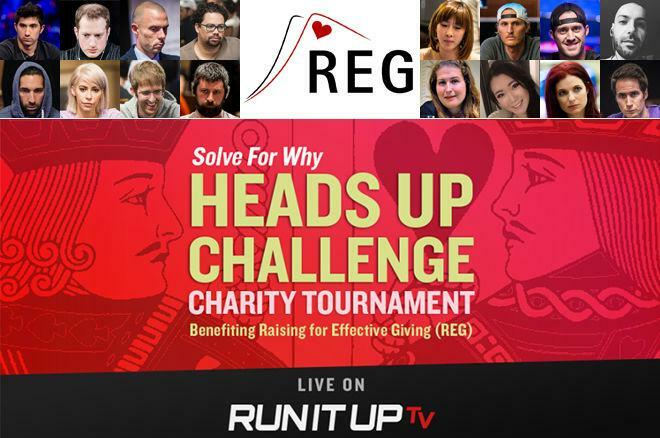 While the focus of the event is on raising money for a great cause, the players will be putting up another $500 to create a prize pool of $8,000 up for grabs for those who make it to the end. Somerville will be doing much of the commentating with help from Gross, with hole cards up starting Monday with the first round of 16. Tuesday they will play down from eight to the final four, and Wednesday the final two rounds will take place. All in all, viewers can expect some very entertaining characters and plenty of fun and exciting poker, all to raise money for REG charity. There will also be some experimentation on the production side of things to see what works, and Somerville mentioned that there could be more where this came from if all goes well.